SNAFU! 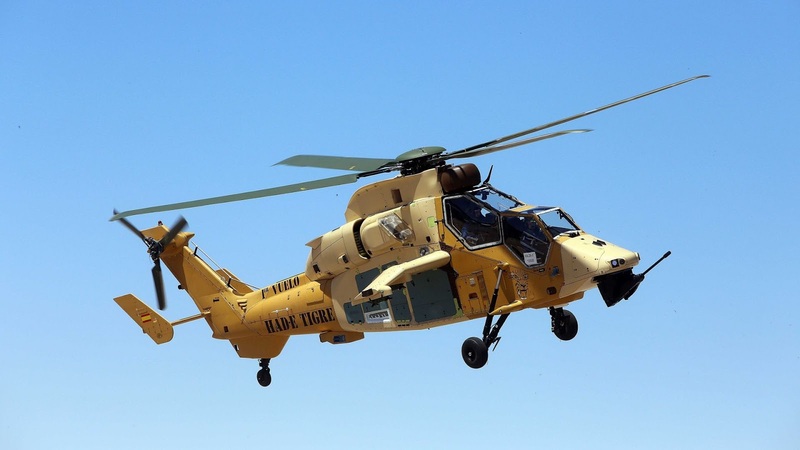 : That German Tigre Attack Helicopter that crashed in Mali broke apart in mid air. That German Tigre Attack Helicopter that crashed in Mali broke apart in mid air. A German Airbus Helicopters EC665 Tiger attack platform that crashed in Mali with the loss of both crew members reportedly broke up in mid-air, Reuters news agency has disclosed. Reuters said on 8 August that a German defence ministry report has found that rotor blades separated from the helicopter shortly before it crashed on 26 July. At the time of the event, the Bundeswehr said that the Tiger had been lost due to an "unexplained" incident, and that enemy action was not believed to be the cause. Geez. This is worse than enemy action. If the enemy shoots down one of our helicopters that's one thing. But to have the freaking rotors separate from the helicopter?